Sorry I’m late with this one. As I said in the last monthly update, July got pretty hectic with me having to somehow write two reviews at the same time. The good news is that the worst of it is over. Either way, this feature will include the four films I saw in July’s final weekend while the next one will include the ones I saw this past week. The Mission Impossible film series is something of an anomaly in the medium. Brian De Palma directed the original film back in 1996, and though it and its first two sequels found an audience, it didn’t leave much of an impact on pop culture. That changed with the fourth installment, Ghost Protocol. Many people, myself included, were vaguely aware that these films existed before Ghost Protocol, yet it completely blew its predecessors out of the water both in terms of how it fared in the box office and, more importantly, the critical acclaim it amassed. Offhand, I can’t think of any other franchise that not only took four installments to finally become good, but also prove the spike in quality wasn’t a fluke with a solid follow-up four years later. Episodes one through three of Star Wars aren’t nearly as acclaimed as episodes four through six, but the latter three films were made first. 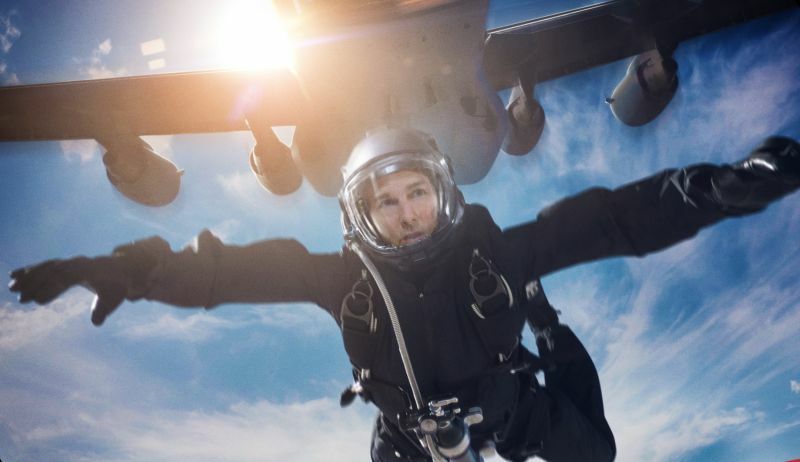 Despite a few missteps, I can say the 2010s has been a solid decade for action films, and Mission: Impossible – Fallout is irrefutable proof of that. It’s one of those films that realizes its predecessors are a tough act to follow, and manages to deliver an experience that will have you on the edge of your seat, so to speak. If you thought after the last two films that the franchise couldn’t possibly go anywhere else with Fallout, think again. A lot these developments have to be seen to be believed. The most interesting conflict in this film stems from when the Director of the CIA instructs Special Activities operative August Walker to accompany Ethan Hunt on this mission. While Ethan demonstrated his unwillingness to sacrifice his team, Walker has no such compunctions; anything that gets the job done is a viable tactic to him. These two characters act as interesting foils to each other |– or at least until it’s revealed that Walker is the mastermind|. In a contemporary film, a character like Walker would be the protagonist while the character like Ethan would be the naïve newcomer who gets killed roughly one-third into the film just to demonstrate the foolishness of having ideals. In doing so, intentionally or not, Fallout comes across a rebellion against the sensibilities of its time, and I admire it for that. If you liked Ghost Protocol and Rogue Nation, you will doubtlessly enjoy Fallout as well. I had a lot of fun with this film trying to see where it was going, and the action sequences are top-notch as always. |That said, the marketing was a little deceptive, often presenting non-canonical scenes in a way that makes the film look darker than it is. The campaign was slightly annoying, but considering how good the film was, I’ll let the marketing department off the hook – this time.| Good job, critics. It took a few tries, but you finally went crazy over a film that actually deserves it. That wasn’t so hard, was it? The Cidade de Deus (City of God) is a West Zone neighborhood in Rio de Janeiro. It was founded in 1960, having been planned and executed by the government of Guanabara State in order to systematically relocate favelas (slums) from the center of the picturesque Rio to the suburbs. This film tells the story of a young man who goes by the nickname Rocket. As a kid, three amateur thieves known as the “Tender Trio” made a name for themselves, stealing from business owners. One of the members was Rocket’s older brother and many of the younger boys idolize the trio. One in particular, who goes by the name Li’l Dice, convinces them to rob a motel. The boy, serving as the lookout, warns them that the police are coming, taking advantage of the confusion to gun down the motel inhabitants. With the massacre brought to the police’s attention, the trio split up. One joins the church while the remaining two (including Rocket’s older brother) are killed attempting to escape the favela. Now, in the seventies, the favela is an urban jungle. Li’l Dice, now going by Li’l Zé, has established a ruthless drug empire by eliminating the competition. In 2010, the British film magazine compiled a list of the “100 Best Films of World Cinema”. 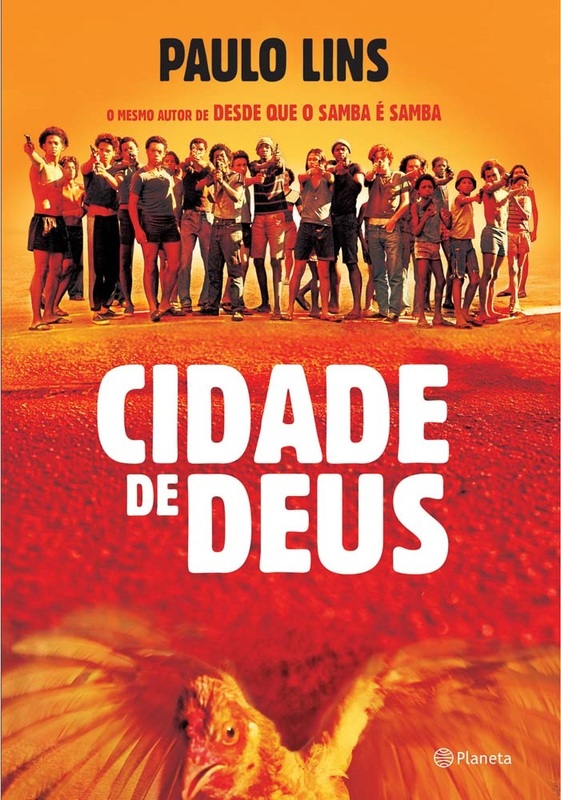 Ranking seventh on the list was City of God. I had never seen a film from Brazil (or South America), so I thought I might as well look into it – especially considering how much praise it got. One of the most fascinating things about this film is that, with one exception, its cast had little acting experience. This was decision was made for two reasons. The first was largely out of necessity; Meirelles stated in interviews that there were very few professional black actors in Brazil back then. The other reason was for authenticity; many of the cast members grew up in these favelas – some were from the Cidade de Deus itself. You will have a difficult time believing that when you watch the performances Meirelles and Lund manage to get out of them. Despite leaving such an impact on critics, some may be astonished to learn that it wasn’t even nominated for Best Foreign Film by the Academy. In a very strange way, this makes sense because from their perspective, City of God is one of those films that does absolutely everything wrong. The film is shot in bright colors despite its dark tone, it boasts an amateur cast, and it doesn’t follow traditional storytelling conventions. Despite (or possibly because of) this, Meirelles and Lund managed to achieve a level of greatness Hollywood directors have gone their entire careers without achieving. So while some may lament that it failed to win the Best Foreign Film award, I suspect the reason it failed to do so could be attributed to sour grapes. Set in present-day Oakland, Blindspotting tells the story of a convicted felon named Collin. He has been released from prison on probation, meaning that for a year, he must live in a halfway home, adhere to a strict curfew, and work a mandatory job. The film cuts to the final three days of Collin’s probation. Collin is struggling to put his criminal past behind him – a task made unnecessarily difficult when his ill-tempered, belligerent friend Miles creates trouble wherever he goes. This includes bringing handguns to wildly inappropriate places. One night, after an obnoxiously long red light, Collin witnesses a white police officer gun down a black civilian. With only days left before his probation expires, he must make a decision that could permanently mar the friendship he has had since childhood. 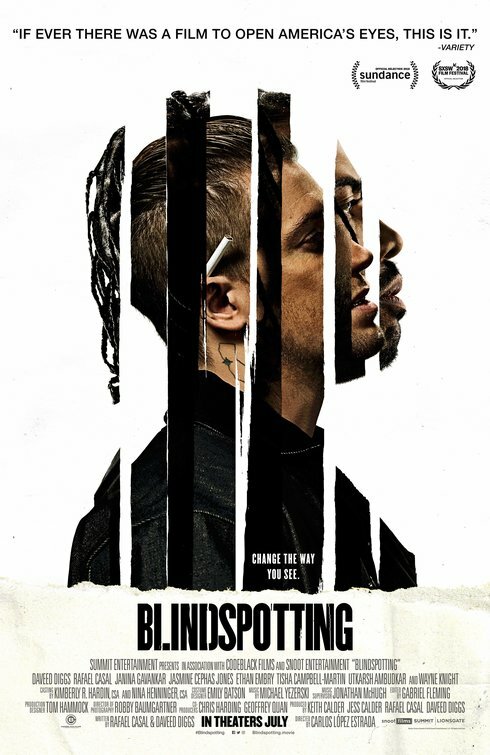 Amusingly, Blindspotting marked the second directorial debut I saw in July of 2018 that was a satirical work starring an African-American protagonist set in Oakland. As I’ve said in the past, the 2010s hasn’t exactly been a strong decade for satire. The problem is that many genuinely interesting stories get subsumed by a message, meaning they only exist as a platform for their creators. When I think of a good satire, I think of something like Get Out, which can be seen as an allegory or just a straight-up thriller. Alternatively, I feel more satirists should go the Sorry to Bother You route in they need to realize how ridiculous their premises are and own it rather than insisting it’s 100% realistic. In other words, going into Blindspotting, I was expecting a rather heavy-handed tale, which wasn’t helped by the quotes used in the poster. Fortunately, it turns out I got worried over nothing. Blindspotting is a down-to-Earth film that says what it needs to say, but it never goes overboard. The two leads, played by Daveed Diggs and Rafael Casal, have an excellent dynamic, and you get a true sense of how their relationship is at a given moment. In an interesting touch, the police shooting plays its role in traumatizing Collin, yet it is, for the most part, in the background; it’s not as though he refers to it whenever he can. Instead, the incident’s effect on his mental state is shown throughout the film through non-verbal cues and how he interacts with his environment. All in all, Blindspotting is a highly enjoyable film. It’s satirical, but the story is allowed to exist on its own terms – just like all the best ones. As of this writing, it has a limited release, so if it ever plays at a theater near you, I’d say take that opportunity. Three wise men arrive to visit the future King of the Jews, Jesus Christ. Unfortunately, they get the wrong address and happen upon baby Brian Cohen, who was coincidentally born around the same time. Brian grows up and become an idealistic man who resents the Romans’ occupation of Judea. He joins a resistance group to overthrow the allegedly tyrannical empire, though through a series of mishaps and misunderstandings, he realizes he’s gathered a strange following. 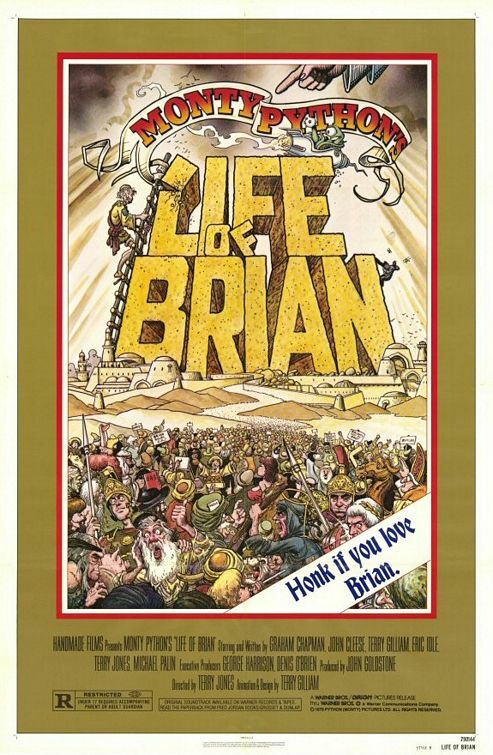 I ended up getting Life of Brian in the same transaction as Monty Python and the Holy Grail. I was compelled to look into it after hearing a Monty Python fan declare it the best film ever made. To make things more interesting, a majority of the Monty Python crew, John Cleese in particular, declare Life of Brian their greatest work because it has a theme and tells a complete story. By comparison, they dismissed their other films as a series of sketches glued together. Though both films are admired, it’s pretty obvious that Monty Python and the Holy Grail has had the bigger impact on pop culture. I find these kinds of situations fascinating because then I get to decide who to side with: the creators or the fans. This film has quite an interesting history in that EMI Films was scared off due to the subject matter, backing out just days before production was to begin. The project was saved by long-time Monty Python fan and former Beatle, George Harrison, who arranged financing through the formation of his company. Due to being an unrelenting satire of religion, it drew innumerable accusations of blasphemy. Thirty-nine authorities in the United Kingdom imposed a ban or an X (18 years) certificate. The latter option functioned as an effective ban because distributors could only show films that, in their unedited form, carried the AA (14 years) certificate. Some countries, including Ireland and Norway banned it outright. This effort to kill the film was for naught when it became a box office success, generating $20 million on a $4 million budget. In light of this where do I stand? In this case, I’m going to have to side with the fans. Make no mistake, Life of Brian is a well-written satire and a lot of the jokes do land really well. Indeed, the crew had no problems at all translating their rapid-fire comedy chops to a film with a comprehensive plot. And they were all directed at a group that needed to learn to lighten up a little. On the other hand, I think I realized after watching Holy Grail why that film ended the way it did |– which is to say it didn’t|; if Life of Brian is any indication, the crew seemed to have trouble when it came to sticking the landing. Don’t get me wrong, it’s not a terrible ending, but I don’t know – the joke the film ends on was kind of a dud. It’s one of those cases where I can appreciate what they were trying to do, but it just didn’t work for me. I’d say give it a shot anyway; I can see my readers getting more out of it than I did. I love your point about Walker being the good guy in an action film other than MI Fallout 🙂 Man what a film! I know, right? Hope you’re taking notes, independent filmmakers – this is what the people want. I really like Monty Python, but I have never watched any of their movies. I guess that should change soon. 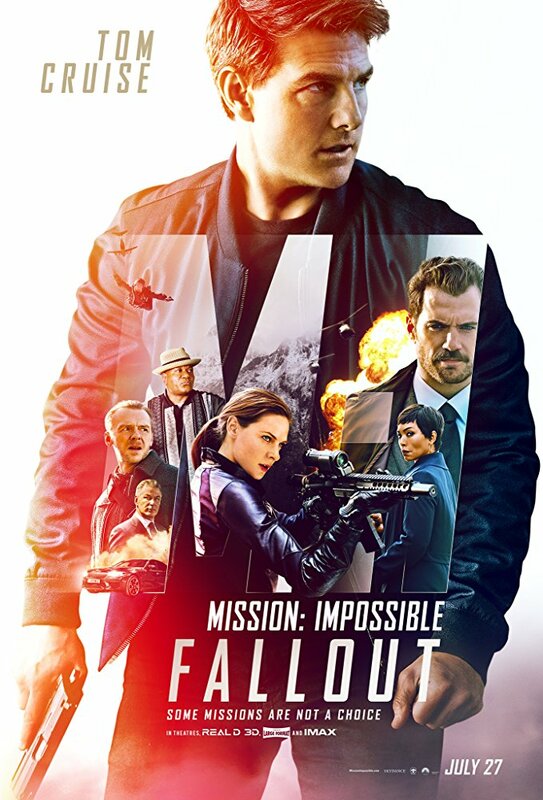 I am stunned by the critical acclaim Mission: Impossible – Fallout is getting. It is hard to see an action movie get that kind of praise. I think the last one that did so was Fury Road, which I absolutely loved. And City of God is wonderful. When I remember it lost the Best Foreign Picture award, I still feel frustrated. I’m the opposite – I’ve only watched their films so far; I haven’t watched any Flying Circus episodes. It probably sounds horrendously cliché by now, but between the two I’ve seen, I’d say Holy Grail is the one to start with. That is true; film critics are a bit snobbish when it comes to certain genres, so to see them praise Mission: Impossible – Fallout is quite astonishing. And you’re right Mad Max: Fury Road was awesome; it’s easily one of the best films of the decade. I don’t blame you for feeling frustrated; you guys got robbed! Considering in 2003, big-budget studios couldn’t get those kinds of performances out of professional actors, I think the Academy’s failure to recognize that film’s greatness is equal parts jealousy and sour grapes. I’ve written many criticisms of gaming’s critical circle, but after truly getting into films this year, I’ve learned film critics (and by extension, Academy judges) have their own set of problems. In fact, I would posit they can’t claim to have a better track record than video game critics. Yeah, I have always heard The Holy Grail is the best one. I will make sure to watch it sometime. Film critics certainly do not seem to be big fans of action movies. I feel horror films get a similar treatment, but since I don’t follow that genre too closely I am not too sure about it. Too bad Brazilian cinema did not take advantage of City of God to get some sort of momentum. Plus, in recent years (according to my friends who follow the national movie industry more closely than I do) we have had some very questionable choices in relation to the movie we yearly select to run for a spot in the Foreign Film award. Holy Grail is definitely a case in which I feel the fans got it right rather than the creators. The critics’ treatment of horror films is downright bizarre. It seems like 90% of the time, they dismiss them outright. That other 10% of the time, you will see them declaring a horror film to be a masterpiece. You will have one of two reactions to this hypothetical film – you will either nod along with them or question what on Earth they’re thinking. So I’d say their treatment of horror films is inconsistent more than anything else. Despite this, I will admit it’s been a better decade for horror than sci-fi – if we’re not counting the bad works against their respective genres, anyway. Yeah, I have no question Brazil would have a treasure trove of incredible stories to tell (fictional or otherwise), so if what you’re saying is true, it is indeed a shame they didn’t keep that momentum going. I wonder what those questionable decisions entail. Life of Brian and a movie were Mecca & Jerusalem get nuked. I don’t think your religious readers are going to like this post haha. Mission Impossible is a bit like Fast and the Furious. I don’t remember the early F&F movies being anything major, but the franchise has gotten a spike in popularity lately. Eh, I’m not worried. I’m no stranger to heresy; my first review involved me awarding The Last of Us a 3/10. If nothing else, they have an excellent propensity for generating publicity for free; just ask AC/DC. I know what you mean; that franchise was in the background, but it didn’t seem like it was until recent years that it spiked in popularity. Then again, from what I’ve heard, unlike Mission Impossible, Fast and the Furious is a bit more inconsistent when it comes to quality.